The blades feature a titanium coating that is three times harder than stainless steel, and a serrated edge grips while you cut for improved control. A built-in notch for wire cutting and wire stripping plus a twine cutter add the versatility you need to tackle a variety of jobs. 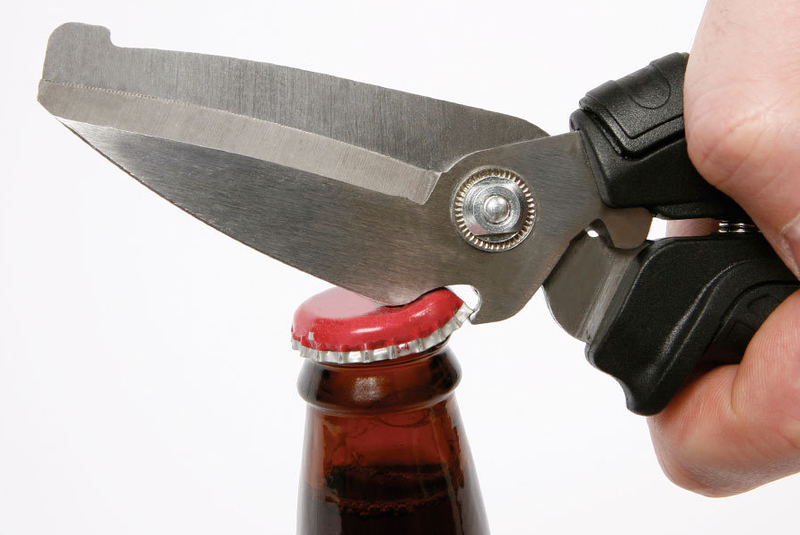 A built-in bottle opener makes opening your favorite bottled beverage a snap. 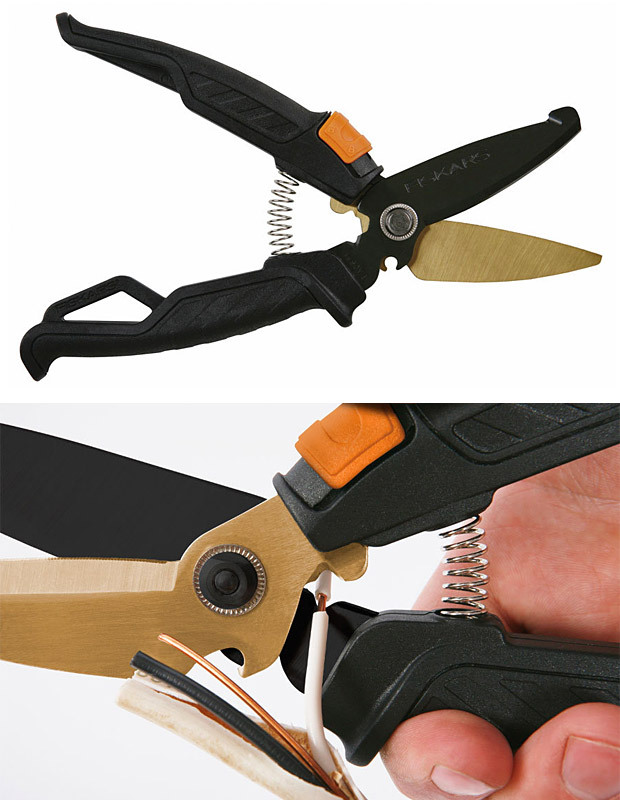 Specially designed spring-action handles give you more cutting leverage while reducing hand fatigue, and the easy-action lock keeps the blades closed when you are done cutting. The ShopBoss Hardware Snip also includes a multipurpose holster with a belt clip, deburring file, tape cutter and pencil holder. Audi in the Barn - "Tell me what you want but i will give you what is in my head"